Unilink aspires to achieve the most extensive network coverage, the best quality of service and the most experience-focused internet company in Myanmar, which leaded by the symbiosis and perfection enterprise culture. Myanmar Unilink Communication CO., LTD. was established in April 2015; it was incorporated by an internationally diversified team, and it is a company that is growing and emphasizes reflection. The company headquartered is in Yangon - the largest city of Myanmar, and had set up regional branches in Mandalay and Bassein. Our company plans to set up regional branches in the capital city – Naypyidaw and other main cities of Myanmar. The company has a registered capital of 10.02 million U.S. dollars and has invested total of 49.55 million U.S. dollars, with 7058 km length of backbone fiber network linking all the major cities in the territory of Myanmar. Relying on its independent core intellectual property, the nationwide layout of network in Myanmar and IDC core network operation ability, Unilink regards Myanmar all-optical network market as its development space and has sufficient technical innovation, talent innovation, entrepreneurial products and other resource advantages, plans to build Internet all-optical IP network ecosystem and to maintain the sustained and rapid development in Myanmar. Unilink Myanmar gradually constructed all-optical IP network with advanced technology and excellent services in the main regions of Myanmar, and will provide customers with high speed broadband Internet access service (FTTX), virtual network service (MPLS-VPN), Internet dedicated line access service (DIA) and high speed wireless access service in hot spots (WLAN),construct Cloud IDC platform based on CDN and provide hosting business for host computers, in order to provide comprehensive, high quality low price, high speed and diversified Internet content and application service (ICP&APP) to the Internet users in the whole territory of Myanmar. Unilink also endeavors to being a strategic partner in the industry of e-commerce and ICT, offering the all-inclusive services, ranging from “cloud” to “platform” to “terminal”. While fully meeting the needs of customers, we also offer leading differentiated services, together with customers and partners, we are trying to make contribution for the development of the Internet industry in Myanmar and also for the “One Belt and One Road" policy entering into the world. Unilink Myanmar has a positive, vigorous and dreamful management team with rich experience. The main members have both technological and managerial advantages; they not only have unique insights for the development trend of Internet technology, but have profound grasp and mature operation experience for Indochina Peninsula and the local market of Myanmar. 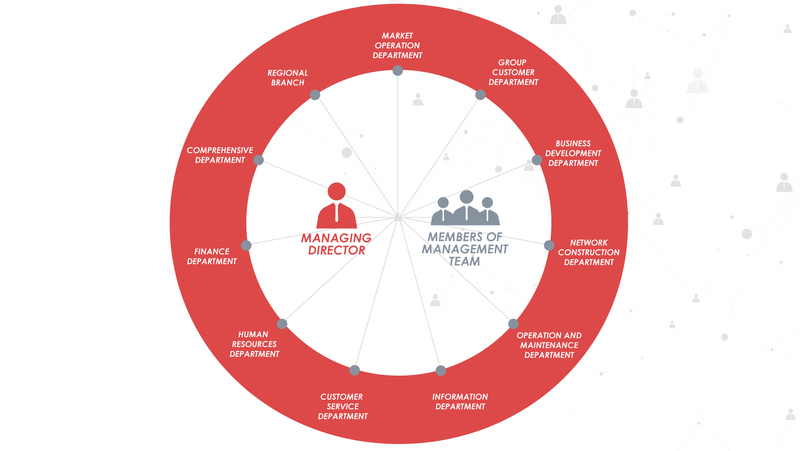 The structure of the management team: The management personnel accounts for 5%, and employees account for 95%; proportion between international and local employees: international employees account for 18% and local employees account for 82%; proportion between male and female: male employees account for 52% and female employees account for 48%; proportion of young employees: employees of under 30 years old account for 70% and employees of above 30 years old account for 30%; the employees education level: employees with university education degree account for 45, and others account for 55%. Unilink Myanmar adheres to the philosophy of happiness, self-confidence and wisdom, and earnestly fulfill the corporate social responsibilities; it is dedicated to becoming an Internet company that has widest network coverage and best service quality that will put most focus on user experience in Myanmar. Unilink will implement "One Belt and One Road" policy and become an innovative company where “every employee is a leader"under the enterprise cultural connotation of “being dreamful and vigorous". Sit tight, set sail. Unilink online experience, as quickly as you can take off. UNILINK always stays with you. Our careful and meticulous services help you get a bumper harvest. The Uni-life makes you smile heartily and renders your life with more brilliance. Arduously we sow, plentifully we reap for you. UNI, cherries on your cakes and unique smile on your cherry lips. Arduously we sow, plentifully we reap for you. UNI, cherries on your cakes and unique smile on your cherry lips. Smile service, unique smile and exclusive UNI experience. We will continue satisfying you with value-added services, preferential prices and wholehearted services. One time chooses UNI service, lifetime smile lingering on your cherry lips.